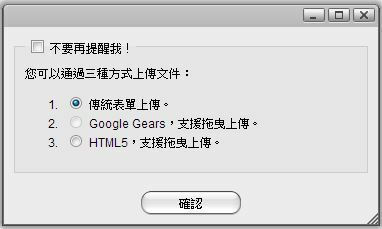 更詳細的訊息請看 系統設置 >媒體伺服器 and File Management > Media Server. 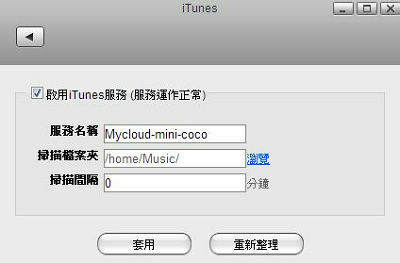 更詳細的訊息請看 系統設置 > iTunes and File Management > iTunes. Files that are stored in the PUBLIC directory are accessible to all users (read & write). 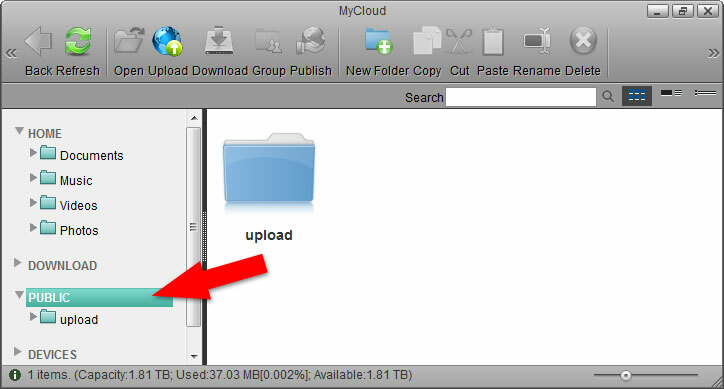 Simply copy a file to the PUBLIC folder and the next time another user logs in, they can view it. It doesn't matter if the user logs in via web interface or mounts the network drive on the home network. If you want to share files with other users but restrict access, as an example only to certain users or give them only read access, you can use the context menu in the web interface. 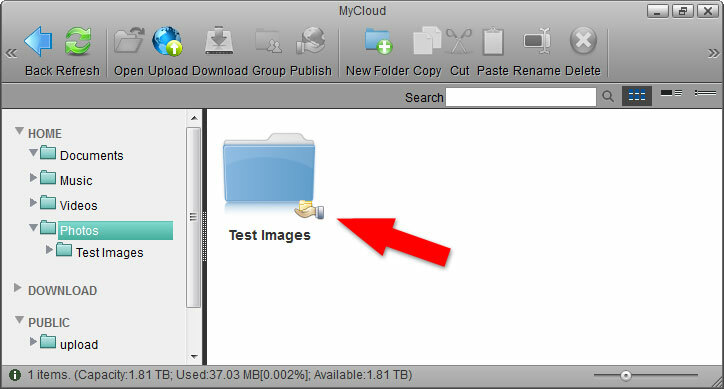 On the desktop, click on MyCloud to open the file explorer window. Right-click on the folder you want to share to open the context menu. Select Share and click Group. 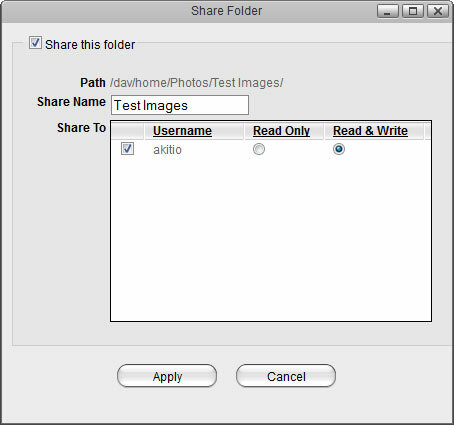 Enable the option Share this folder and select the users you want to share the folder with. Click Refresh and the folder icon shows a hand to indicate that this folder is currently shared. 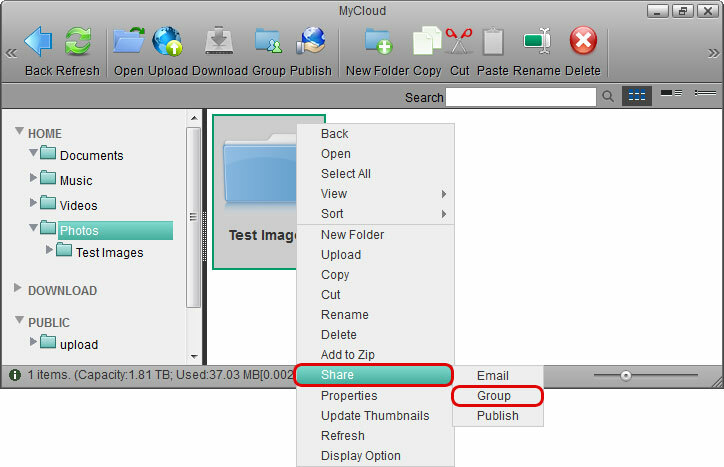 If your friends do not have a user account, you can still share your files by selecting either Email or Publish instead of Group. This will create a public link, that you can then send to your friends. Clicking on it will open the album and display the files you have shared. For more information about file sharing, please see File Management > File Sharing. 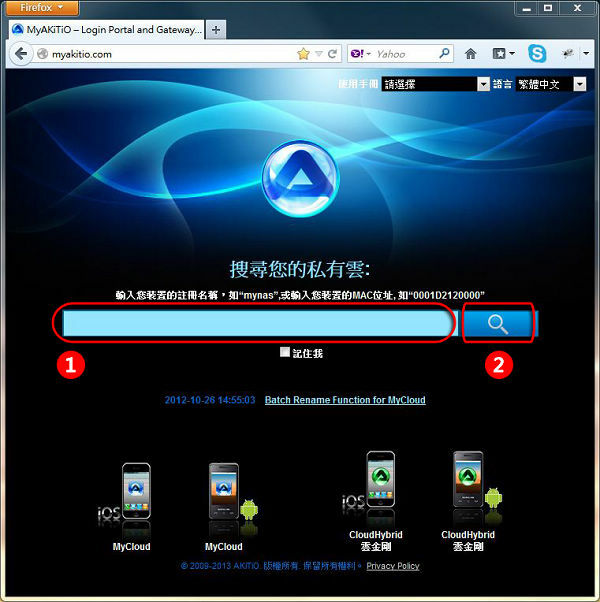 A shared folder is only accessible via web interface. 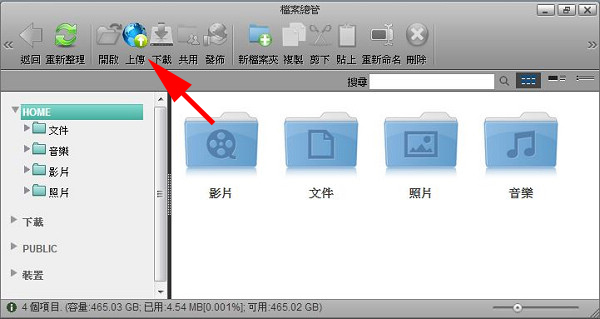 If you mount the drive via SMB or access it through FTP, the shared folders are not available.